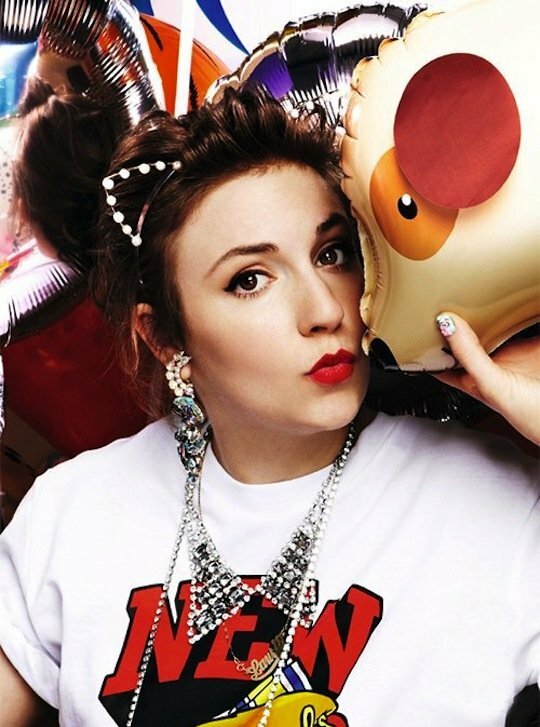 Lena Dunham: another Gen Y’er who just expects handouts… in exchange for her hard work, talent, and courage to break new ground. So you’ve heard how the conversation starts, right? Ok, so I may have gone to the Alf side there for a second, but hey, that’s me, I’m Generation Y, we’re sooo random. Most of the time, my Gen Y comrades and I just nod and smile during those workplace conversations. Yes, we are lucky. Yes, we don’t have to fight for so much. Yes, the world is our oyster. What can we say, we’re younger, our lives are ahead of us, we’re not going to win this argument, just be grateful and smile. All of this is fine… to a point. That point is when a complete stranger starts accusing me across a meeting room table of being a passive, consumerist, spoilt brat. Have we just wandered into the world, ready to take whatever is handed to us? By the end of our lives, will we have made no mark other than to contribute to a healthier economy through our spendthrift ways? This man, a former radical and member of Generation X, was in the midst of planning an exhibition and party for himself and the other former members of his ragtag team that published naughty things back in the 1970s and ‘80s. I was actually pretty excited to meet them but his combative attitude, his distaste for my involvement due to my age and obvious ignorance was like a glass of ice cold water poured over my flickering candle of admiration. As a younger generation, are we allowed to fight back? Well, Generation X certainly did. But how exactly? Those who weren’t known for being disaffected, apathetic nihilists were very good at complaining about things. In France, people of this age were called Génération Bof, or Generation Whatever. Some of my favourite music, films and reading materials come from this generation’s complaints. They used these established vehicles, mostly run by the Baby Boomers, to make their complaints. To what end? They let the world know they were angry before embracing ‘the establishment’ jobs and settling down with a couple of kids, marrying then divorcing, realising they were older and had a whole new generation about which to complain. I’m sorry, was that an unfair, sweeping generalisation? How dare I. In reality, I have no issue with Generation X. They are simply a group of people born during a vague period of time in the 20th century (no one ever seems to agree what the actual start and end birth years are for each generation). There are corporate ladder climbers, stay at home parents, criminals, artists, travelling gypsies, politicians, the full range of humanity. But if we must talk in general terms about Generation Y, then can we at least acknowledge that there is a good side. We are more radical than people think. We don’t just do mischievous things in the spaces established by previous generations – we create the space, change the face of it or challenge its very existence. We make new rules. We’ve shaped the realm of social media that continues to keep corporations, politicians and marketers on their toes. We hold them accountable for their claims. Surely that dispels the myth of a passive consumerist generation. We know what we want, we are resourceful, we research, we ask each other for advice. We have embraced, for better or for worse, file sharing and the exchange of ideas and yet we are accused of having no sense of community. My friends and I report the news to each other, providing links to several sources via social media and then engaging in discussion and critique. No one can tell us what to think. We are made to feel selfish and spoiled because we dare to ask ourselves what it is we want and then proactively seek out the answer to that question. My friends are not lazy. My Facebook newsfeed is a constant stream of “Still at the office”, “Finished my first triathlon”, “Volunteering at the charity store tomorrow”, “Writing my thesis”, and “Completed the surf lifesaving course”. It seems when you stop complaining and pointing the finger of blame at other groups of people, you start becoming a more valuable, productive member of society. I like writing and sharing silly things.